For many women, it’s easy to take commonplace hygiene products like tampons and menstrual pads for granted. But for thousands of homeless women across the country, menstrual supplies represent a real financial burden — one that many simply cannot shoulder. The #HappyPeriod Initiative helps homeless women get the menstrual products they need. It’s a necessary, surprisingly simple program that helps homeless women cope with a problem that is too often ignored. Read on for how you can get involved. Chelsea VonChaz founded the #HappyPeriod Initiative after seeing a homeless woman on the street while she was driving in Los Angeles last year. The woman had clearly been bleeding into her clothes, and VonChaz, who also happened to be on her period at that time, found herself wondering how homeless women deal with menstruation. It turns out, they don’t have a lot of options. VonChaz called a local homeless shelter and was told that, although people donate hygiene items like toothpaste and men’s razors, donations of period supplies are very rare. 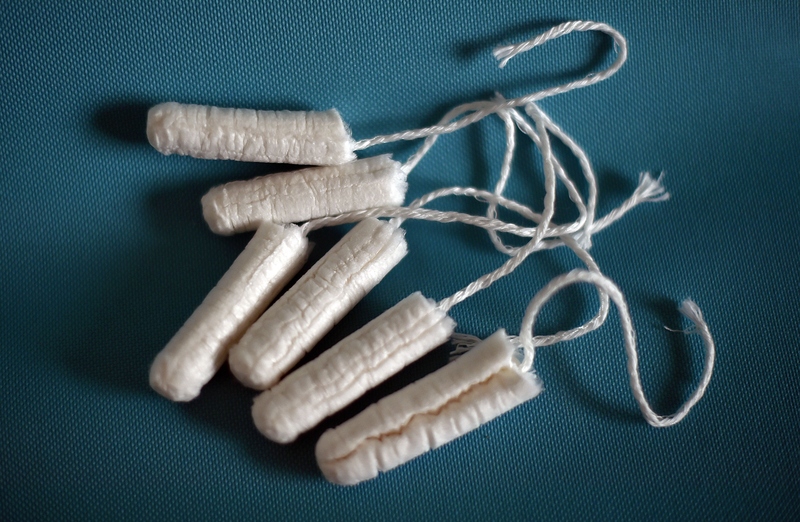 VonChaz told Broadly that, in the absence of tampons or pads, often women will create makeshift pads using baby diapers or donated clothing; sometimes, they simply have to bleed into their clothes. This is a problem faced by women all over the United States and across the globe. Plan, a UK organization dedicated to promoting children’s rights, reports, “Only 12 percent of girls and women have access to sanitary products around the world.” In Africa, ten percent of girls miss school due to menstruation, and in Bangladesh, 73 percent of women who work in factories have to take unpaid time off work when they have their periods. Here in the United States, menstrual supplies are not covered by food stamps. As Jennifer Weiss-Wolf points out in The New York Times, homeless women in particular struggle, not only to pay the estimated $70 per year that period supplies cost, but to find safe, reliable access to sanitary facilities like showers and toilets. The #HappyPeriod Initiative seeks to make menstruation a little easier for homeless people across America. Volunteers for the initiative get together every month to put together period kits for the homeless, which they then distribute to people on the street or outside shelters. VonChaz has also reached out to companies to contribute to the effort; partners of #HappyPeriod include Kali, a delivery service for organic tampons, and Thinx, a period underwear brand. One of the many great aspects of #HappyPeriod is the initiative’s recognition that menstruation isn’t limited only to women. Trans men can have periods, too, and #HappyPeriod is dedicated to serving all people who menstruate. The #HappyPeriod Initiative has spread to a number of cities around the country, including L.A., New York, Detroit, San Diego, Miami, and Washington D.C. If you want to help provide menstrual supplies to people in need, there are a number of things you can do. If you’re in a city that already has a #HappyPeriod chapter, you can join in (You can find info about upcoming events on #HappyPeriod’s Instagram). If you’re not in a city with a current chapter, contact a local homeless shelter to see if they need menstrual supplies and donate. You can also contact the #HappyPeriod Initiative to find out more about starting up a chapter in your city. Finally, you can donate money through #HappyPeriod’s GoFundMe page, or donate specific items through the organization’s donation wish list.